Gameloft has harnessed the power of the revolutionary Unreal Engine to bring unimaginable battles in real-time, full-3D graphics. 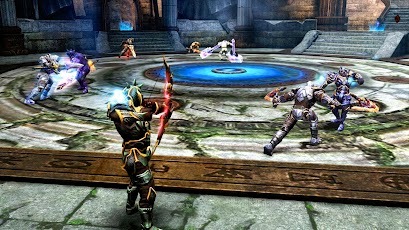 Amazing real-time, full-3D graphics with special effects powered by Unreal Technology. Epic fights full of impressive enemies and stunning special powers. Become the legendary and brutal Sir Lancelot. 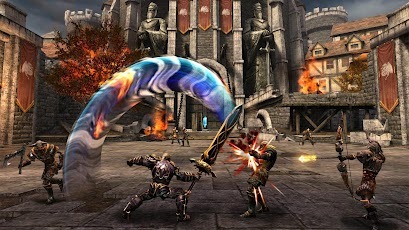 Fight off the legions of Hell and challenge the mighty King Arthur, who has been enchanted by Morgana. Travel across 10 breathtaking levels on your journey to Avalon with the help of Sir Gawain of the Knights of the Round Table. Face 20 different enemies including epic bosses. Wield a wide range of weapons from axes and long bows, to your powerful great sword. Enjoy intense, spectacular and gory combat with both melee and ranged battles. Explore fascinating environments and solve puzzles to reach hidden locations. Have fun with up to 5 friends in the impressive Team Deathmatch (3 vs. 3) and Capture the Flag modes. 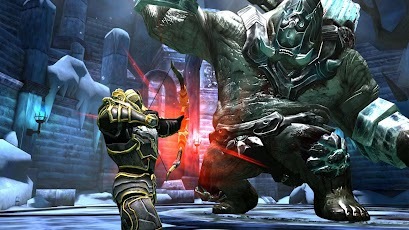 Connect with your Gameloft LIVE! friends and compare your scores on the leaderboard. Local (Wi-Fi) & online modes available. One player is the Juggernaut and everyone else has to hunt him down! The Juggernaut gets special powers and is bigger than all the other players. Kill him and you become the new Juggernaut!